Atlantic Beach is 5 miles from this Morehead City hotel, which features an outdoor pool and fitness centre. Every room and suite offers free Wi-Fi. Positioned among charming beach communities and just moments from the beautiful Crystal Coast, our hotel's property is perfectly situated for a leisure or business getaway. 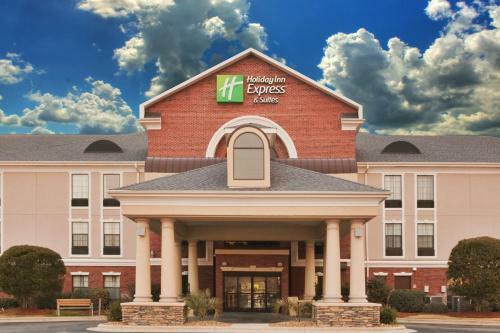 The Holiday Inn Express® Hotel & Suites Morehead City is pet friendly and has amenities like a free, hot breakfast bar.